Beautiful 2,400 square foot Prairie District town home featuring three bedrooms and two and a half bathrooms. Situated on a private professionally landscaped courtyard with gated front yard entry. Spacious living area with large windows fill the space with natural light, gas fireplace, built-in shelving, and hardwood floors throughout. Separate formal dining area, great for entertaining. Updated kitchen features 42" white cabinetry, new quartz countertops and backsplash, stainless steel appliances, and eat-in island. Private balcony off the kitchen perfect for grilling. Comfortable family room area on the first level. Large master bedroom has vaulted ceiling and ensuite bath with dual sink vanity, soaking tub, and separate shower. Spacious second bedroom and top floor bonus room could also be used as third bedroom. Private rooftop deck. Two car attached garage. 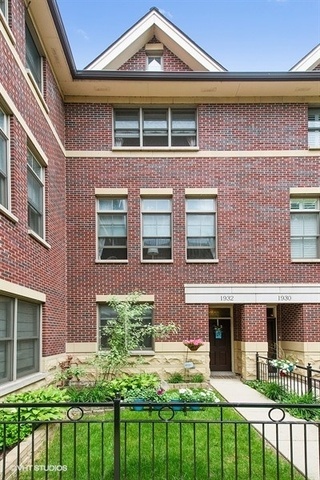 Desirable South Loop location near the lakefront, Museum campus, Soldier Field and many wonderful shops and restaurants. Property information last modified by seller on Thursday, January 03, 2019, 11:30 AM CST. Information Deemed Reliable But Not Guaranteed. Unauthorized duplication, use, or linkage is prohibited. The information on this web site is for personal, non-commercial use and may not be used for any purpose other than to identify prospective properties consumers may be interested in purchasing. Monthly Payment Calculator results are for illustrative purposes only, not a financing opportunity; calculations assume a 30-year fixed-rate mortgage and do not include closing and other costs. Property Tax on NEW properties is estimated at 1.5% of Listing Price for payment calculation purposes; actual value may be higher or lower.